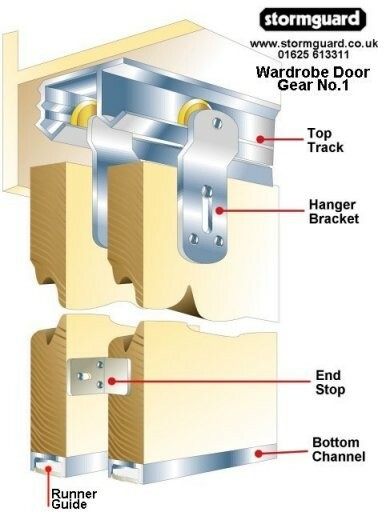 The Wardrobe Gear No 1 system is ideal for built-in wardrobe storage space and wardrobes. Doors are allowed to bypass each other smoothly, carried by nylon wheels on a strong aluminium track. The top track features 2 channels in a single extrusion for each assembly and the bottom channel fits to the door to leave the floor clear, and provide easy access.